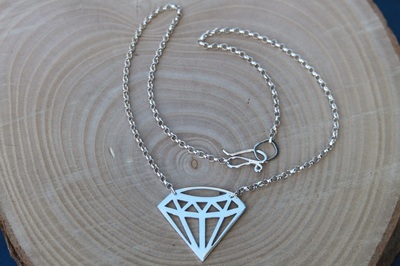 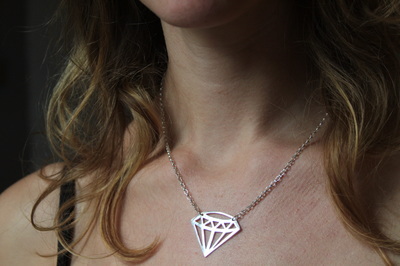 This geometric diamond shaped necklace is a real eye catcher. 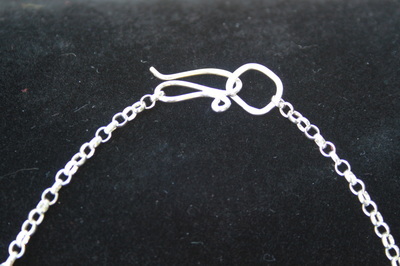 Available in solid silver (as shown) or in 24ct gold-plated silver. 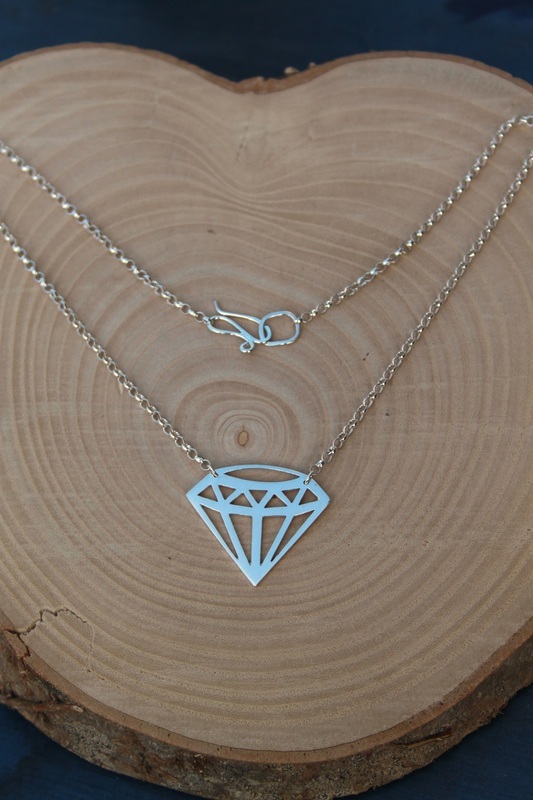 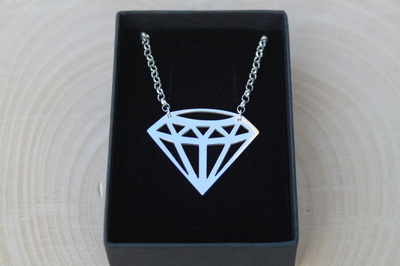 It is part of my geometric diamond range, which includes a smaller version of this necklace, bracelets, pendants, brooches, diamond studs, or drop earrings. This necklace comes carefully packaged in a lovely black jewellery box with felt inlay.